Inflammation Balance - Joint Health - Antioxidant! 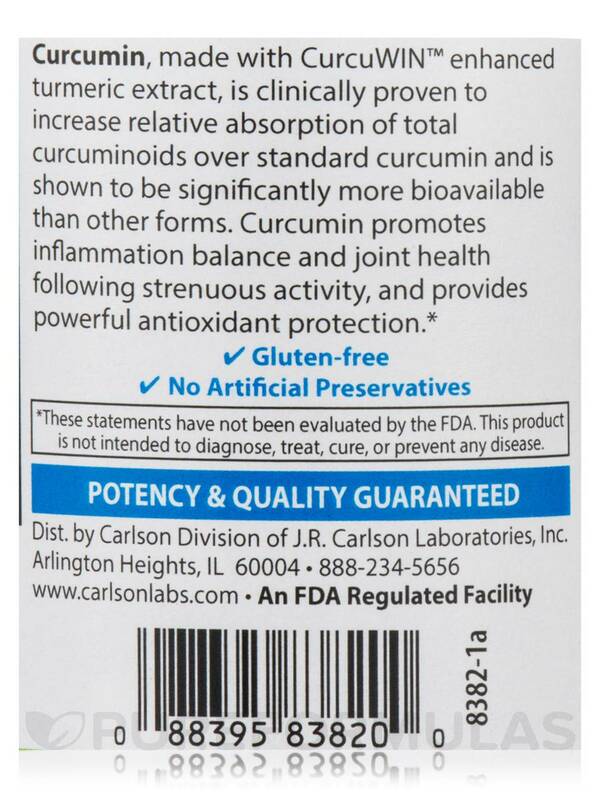 Curcumin is made from turmeric‚ the only source known to provide one of nature’s best kept secrets—curcuminoids. 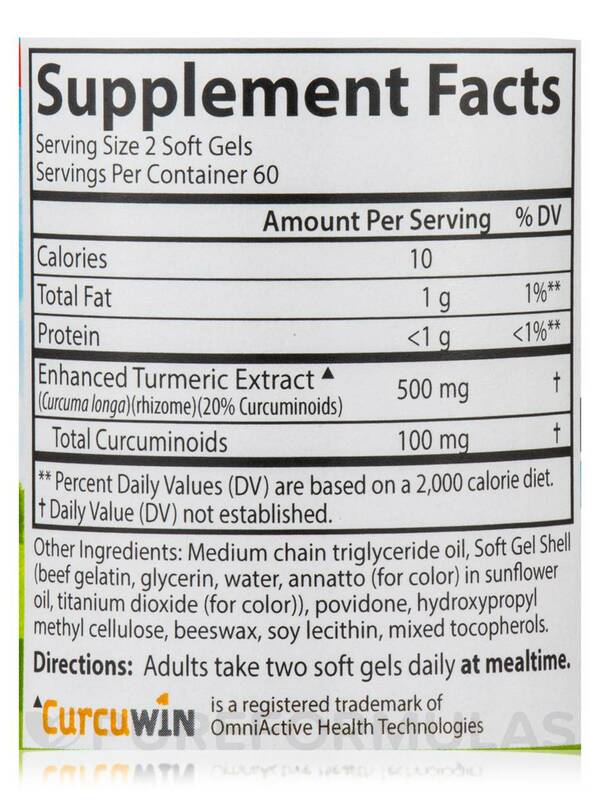 Curcuminoids are powerful phytonutrients that give turmeric its yellow hue and offer a variety of health benefits. 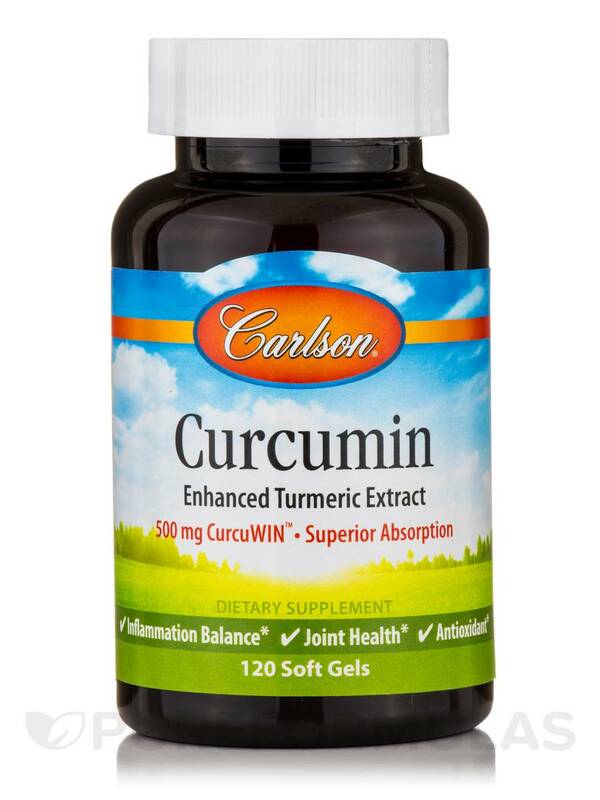 Curcumin supports a healthy inflammatory response‚ joint health‚ antioxidant protection‚ heart health‚ and healthy cognitive function. 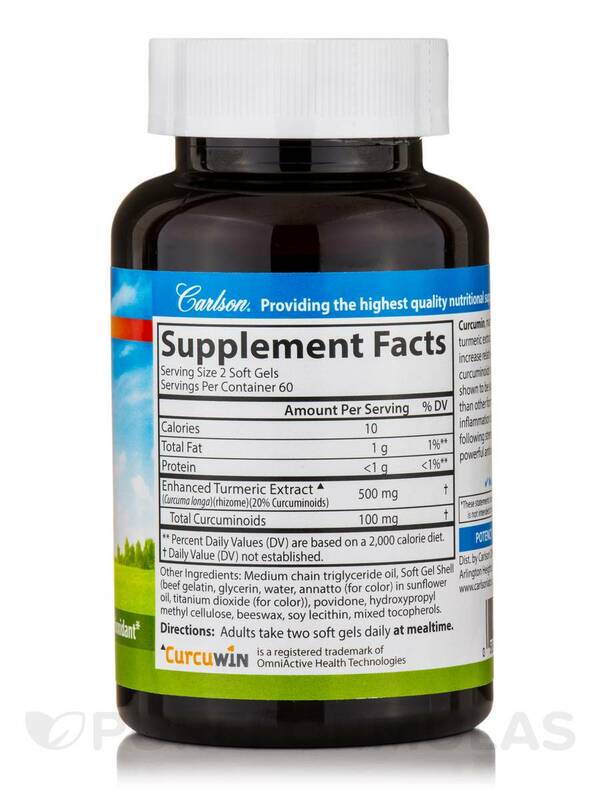 Carlson Curcumin contains CurcuWIN‚ an enhanced form of curcumin that’s clinically proven to increase relative absorption of total curcuminoids over standard curcumin. 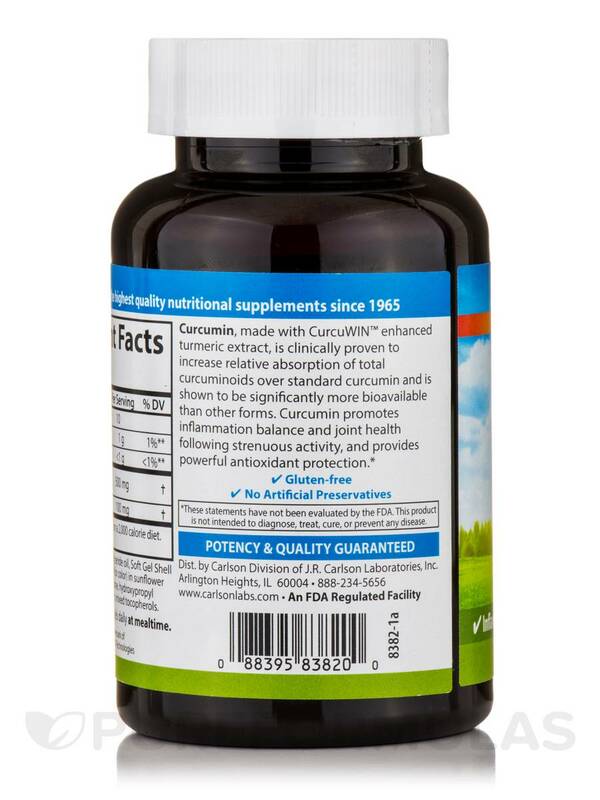 They also use patented UltraSOL technology‚ a unique delivery method that highly increases the bioavailablity of curcumin‚ which is usually difficult for our body to absorb. Other Ingredients: Medium chain triglyceride oil‚ soft gel shell (beef gelatin‚ glycerin‚ water‚ annatto (for color) in sunflower oil‚ titanium dioxide (for color))‚ povidone‚ hydroxypropyl methyl cellulose‚ beeswax‚ soy lecithin‚ mixed tocopherols.